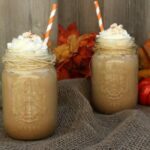 Salted Caramel Latte - Frugal Mom Eh! 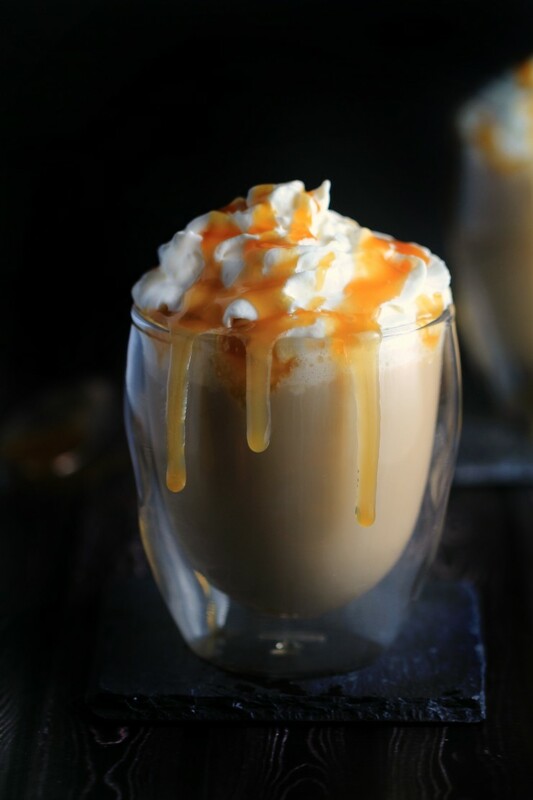 Salted Caramel is one of my favourite fall flavours and this Salted Caramel Latte is perfectly sweet with just the right touch of savoury. Combine espresso, steamed milk, caramel sauce and salt in a large mug. 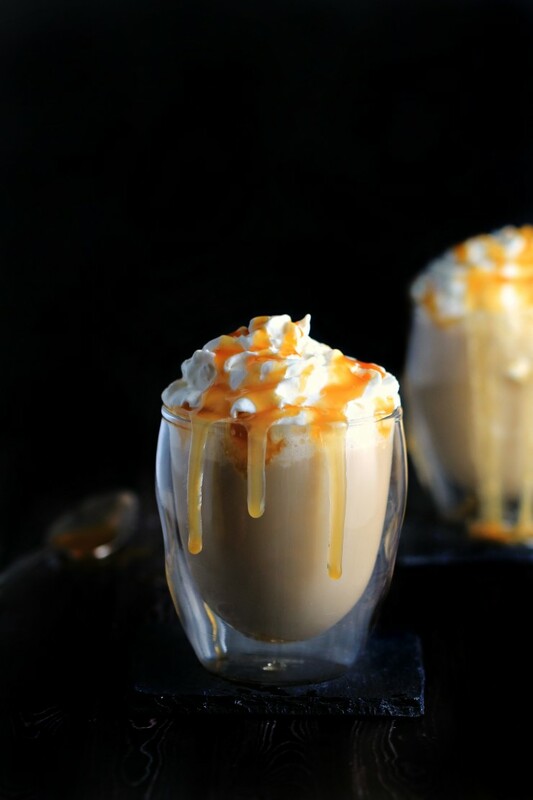 Top with milk foam, whipped cream, a generous drizzle of caramel syrup, and a small pinch of sea salt. *Note: If you do not have a milk frother, you can froth your own milk by shaking 1/4 cup of milk in a small jar until the milk doubles in size and becomes frothy. If you do not have a milk frother, you can froth your own milk by shaking 1/4 cup of milk in a small jar until the milk doubles in size and becomes frothy. Sounds great for an after supper treat!! That does look and sound very yummy! Love lattes! 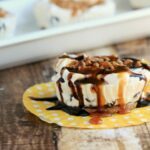 I would love to enjoy this as an afternoon or evening treat,it looks totally delicious ! 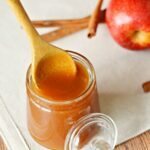 Looks delicious, I am a sucker for salt and caramel. Nicely done. I have the perfect caramel sauce in the fridge without the horrid ingredients in some I know of. I’ve never had salted caramel so don’t know how that would be but I’m a coffee addict and this looks fantastic. 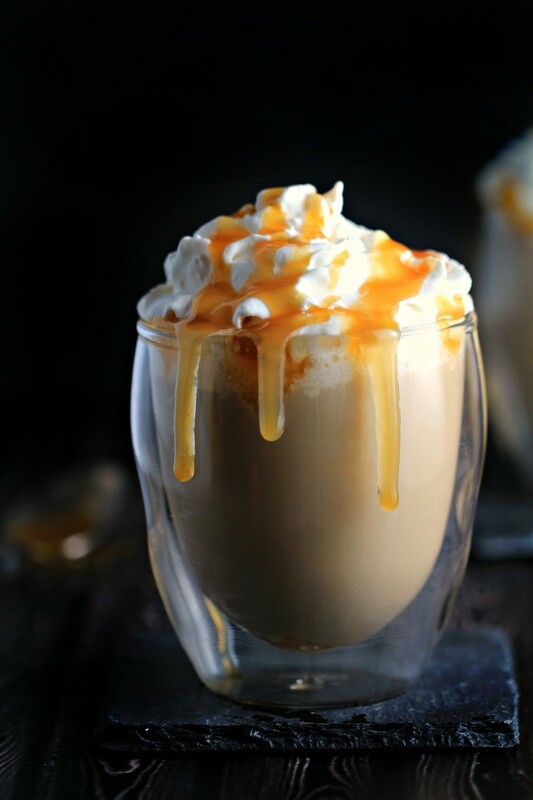 This is the first recipe that I have seen for a Caramel Latte and it sounds absolutely delicious. I have saved it to my favorites. Thank you for this and other recipes.